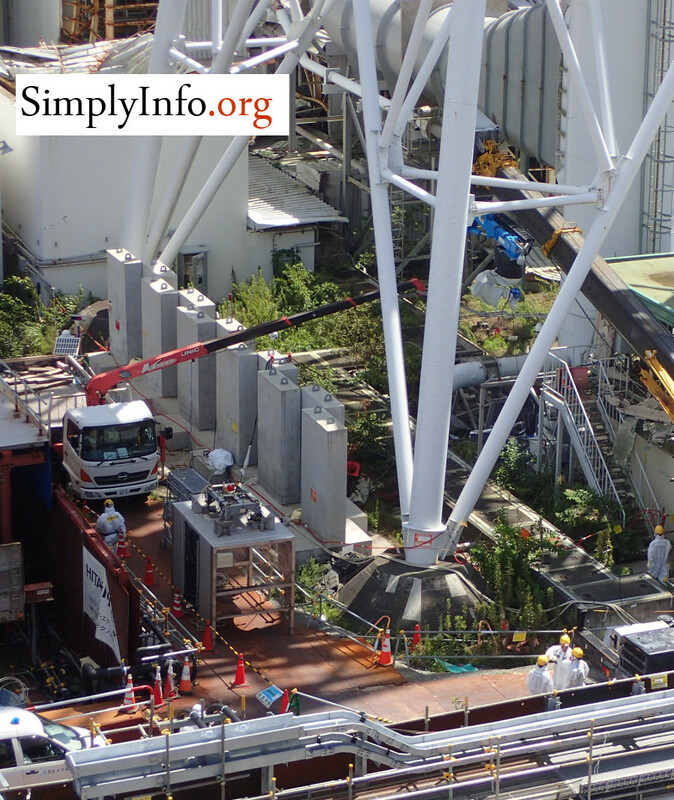 The effort to deal with the unit 1-2 vent stack has grown in complexity. 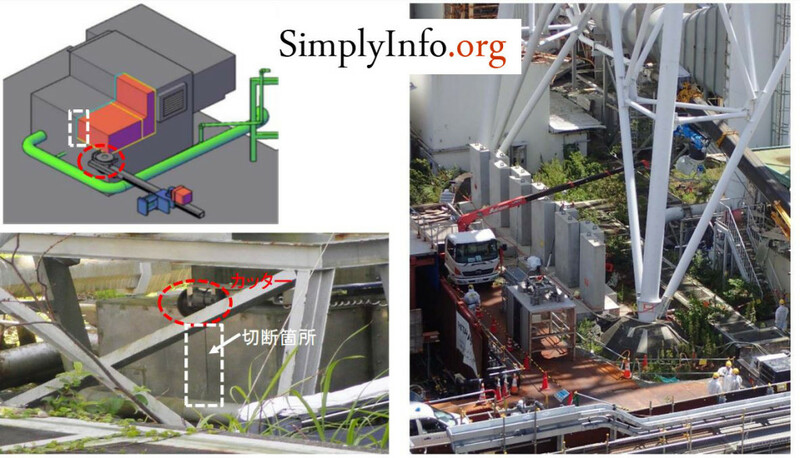 TEPCO claims in this new work that the radiation levels near the tower are so high that it is complicating work. 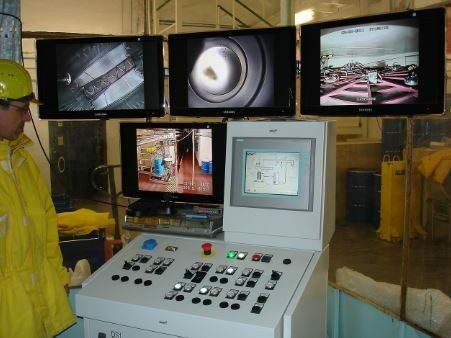 A mock up facility was built to practice the work before the actual on site work took place. The goal of this latest work is to determine the water level in the sump, the water composition and to collect the sump water using remote equipment. Preparation work began around July 28, 2016 to do this work. 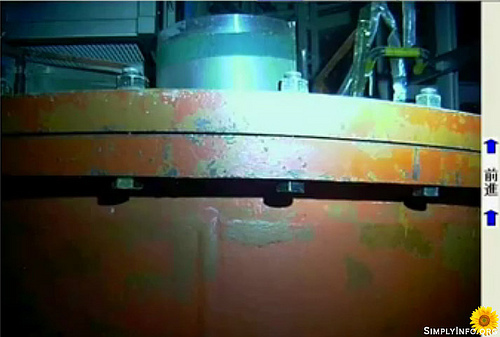 A crawler robot was used to open the tower drain pit around August 26th. Actual pumping work is expected to take place in early to mid September 2016. A pump and hose run to the waste processing building would handle the water. 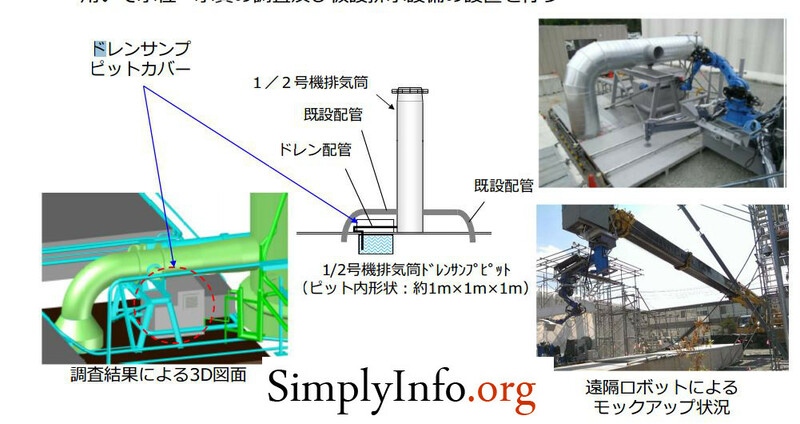 They then intend to flush the hose towards the waste handling building to remove remaining highly radioactive water. At the end of the work a water meter will be installed. 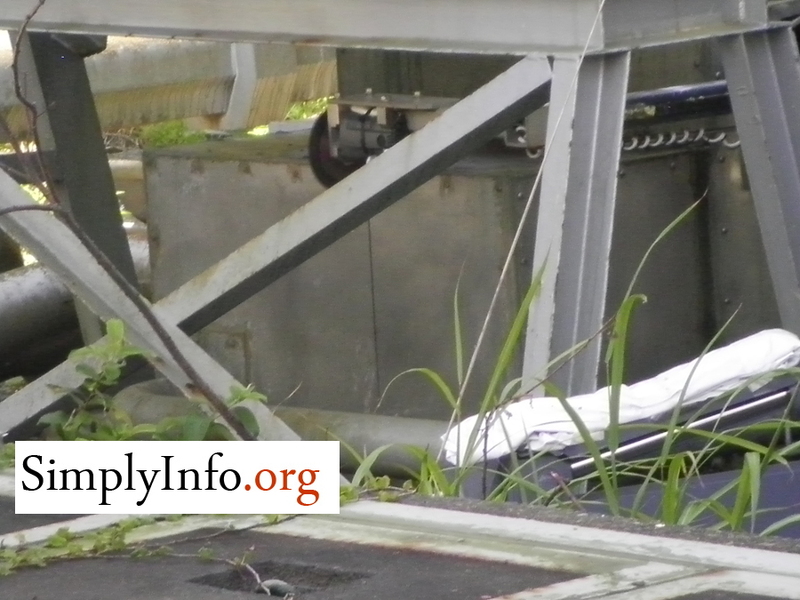 If this follows other monitoring added around the plant, it would signal workers if the water level in the pit exceeded a set level. Close up of the drain pit. Access area and wide view of the work area. Note the thick shielding placed on one side. Large view of the work area. 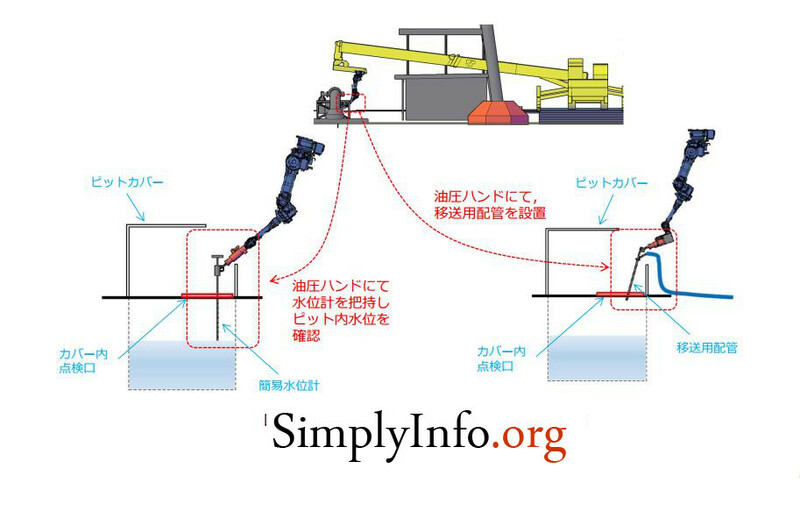 Diagram of the robotic sampling process for the drain pit. Mock up and test run of the work to sample the drain pit.